You can still find stores titled Stamp & Coin Shop. The problem is that if you are trying to sell your stamp collection, chances are they never got around to changing their sign to just Coin Shop. The reason for this divorce is simply because stamps are made of paper and not your fine gold or silver. There has always been a connection between collecting both coins and stamps. Although these hobbies are a bit different, there are similarities that appealed to both types of collectors. 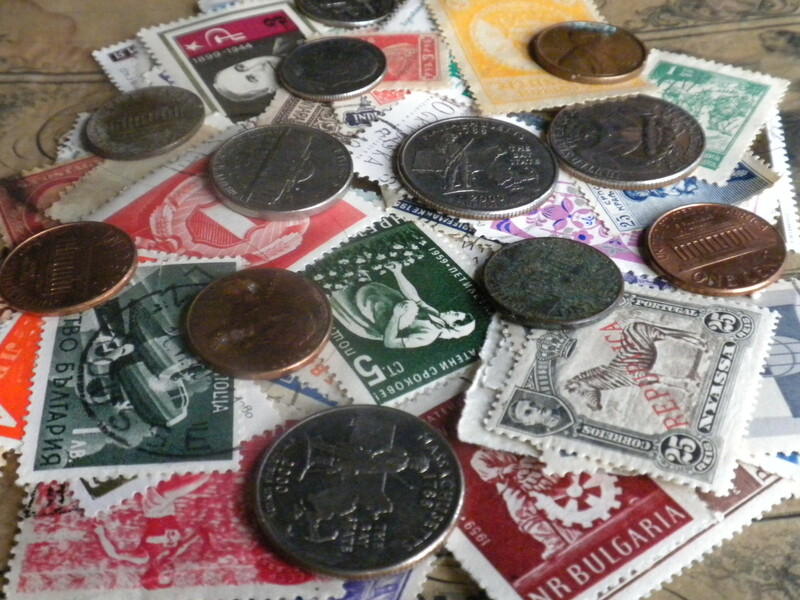 Coin collectors would collect stamps and stamp collectors collected coins, so it seemed from a business perspective that if you were going to deal in one you might as well deal in both. Unfortunately, the value of stamps have been in a decline for over 3 decades now, while in the last 40 years gold has climbed from $36 per ounce to around $2000 per ounce in recent years. Although the gold and silver factor comes into play, so does the supply and demand factor when it comes to the value of stamps. What made stamp dealing such a great business for over 100 years was, in fact, the demand. From the 1920’s through 1960’s, families spent their evenings enjoying the hobby of stamp collecting and learning the meaning behind each stamp that they would carefully place in their personalized stamp albums. Nowadays, most grandparents do not know what to do with their stamp collection with none of their children or grandchildren even slightly interested in taking over the hobby. Our world has changed: people do not collect, save, or hold onto things the way they did 50 years ago; that mentality has changed within recent generations. Stamps always carried much greater sentimental value than coins did. They were printed to travel the world and find their way into the hands of a collector who was anxiously awaiting the new design that came from foreign soil. Part of the equation is that stamps are just not a part of everyday life anymore. It is much easier and convenient to send a text or write a quick email. People want to connect to someone from across the globe in a matter of seconds rather than go through the trouble of writing and mailing out a letter that takes days to arrive. Coins are used on a daily basis and are made with precious metals. Unlike stamps, coins have held their face value allowing the coin market to remain stable and stand alone from its long lost partnership with postage stamps. I have a collection from years ago that i would like to sell. how do i go about offering it to some collector.